Vlog: TMNT Sewer Exploration Belt, from 1990. | Dinosaur Dracula! 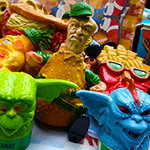 Vlog: TMNT Sewer Exploration Belt, from 1990. 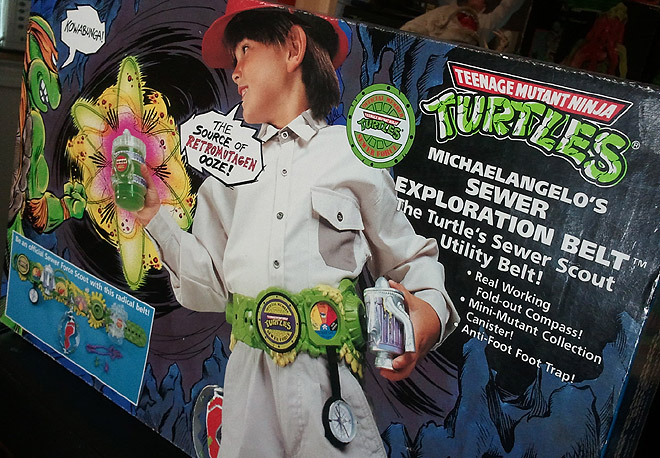 One of the less-referenced reasons why Playmates’ old Ninja Turtles toys were so great was that they were so strange, and nothing proves it quite like the Sewer Exploration Belt, from 1990. 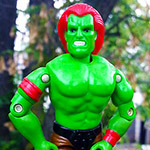 A kid-sized arsenal of goofy crap in the vein of Batman’s utility belt, it covered every base. A real working compass! A big plastic bear trap! A can of ooze! TONGS! And here’s the alternate link for YouTube loyalists. With the Sewer Exploration Belt being so impossibly up my alley, I’m surprised I didn’t catch wind of it as a child. I might have been too big for it even by 1990, but I doubt that would’ve stopped me. 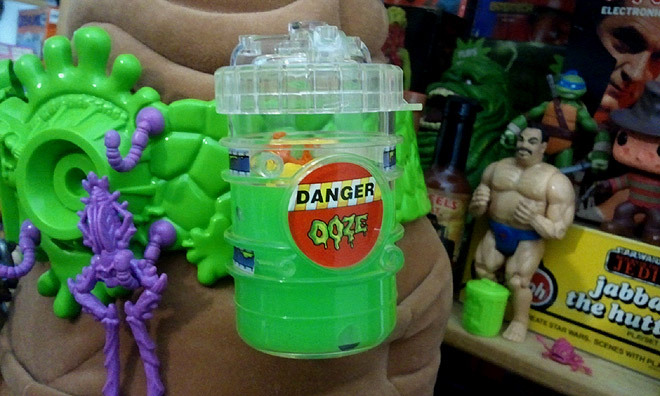 Even if I couldn’t wear it, who could turn down a plastic device with a side container for retromutagen ooze? I’d write more, but that’s what the video is for. It was carefully scripted, and guest stars one of Hollywood’s all-time greats. Enjoy it for however many minutes you can stand. I give you four, tops. 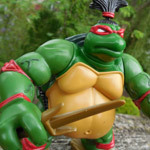 Ninja Turtles “Sumo Raphael” Figure! 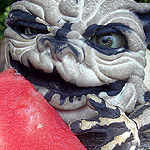 Come home to me, brainy. 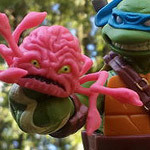 Vlog: Stretch Screamers “Oozers” Figure.